If you own a vehicle, then you are aware of the importance of suspension systems in maintaining the over-all conditions of a vehicle. Suspension systems keep a vehicle moving in the best conditions and helps in maintaining the vehicle’s good state. This is greatly important in a vehicle, whether old or new. Without it, the car or any other vehicle will suffer from unnecessary wear and tear. Vehicle maintenance will never be complete without checking the suspension systems. Efficiency of brake systems – The importance of having excellent brake systems cannot be understated. Many accidents happen because of brake mechanisms that malfunction or are not working in the best manner. Through a regularly maintained braking system, you can be in a safer condition when it comes to the brake’s reliability. Minimizes road bumps and discomforts – Suspension systems include shock absorbers, springs and bushes that not only minimize the discomfort from road bumps and other uncomfortable vehicle movements but also greatly effect the braking distance and how your car will respond in an emergency situation. 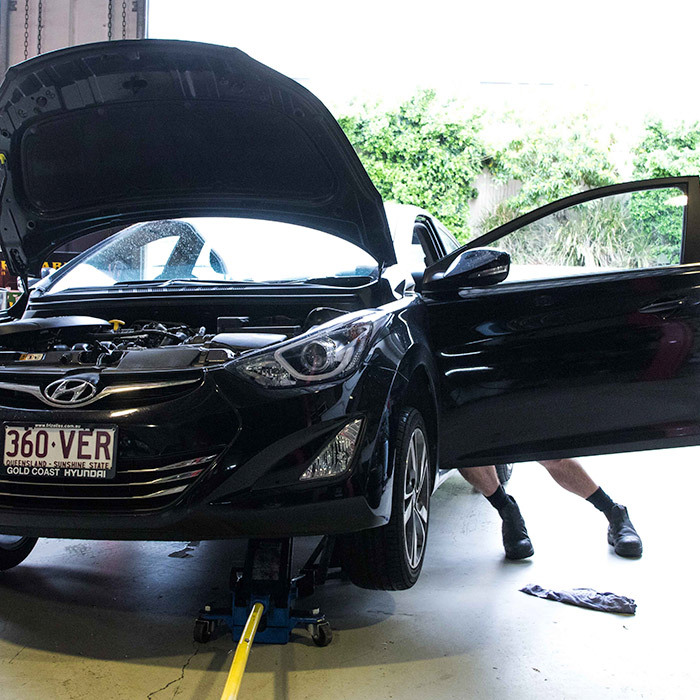 Ask Coomera Car Care to inspect your vehicles brakes and suspension today.